Visiting the National Historic Trails and Interpretive Center allows guests to learn all about the history of the trails that passed through Wyoming before potentially setting out on an adventure of their own. Spent an hour or two at the center learning about the lives of the people who passed through as well as the history of many of the trails people already have pop culture knowledge of (like Oregon Trail and the Pony Express). 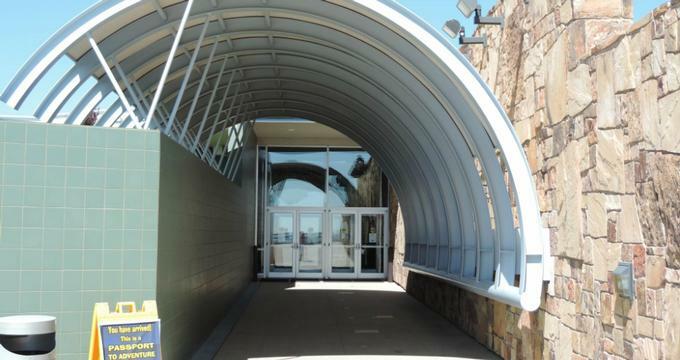 Established in 2002 in Casper, Wyoming, the National Historic Trails and Interpretive Center was built to facilitate the mission of enhancing and maintaining the many interactive exhibits, award winning movie (which focuses on an orientation to the center), and dioramas located there. The center is 11,000 square feet and was a joint effort between the city, the land management bureau, and the foundation of historical trails (which actually formed as a result of this project after starting out as just a small committee) and cost around ten million dollars to build. The exhibits seek to capture and express the real life drama that was experienced by the half million or so pioneers from 1841 to 1868. They also focus on many of the famous as well as infamous faces that frequent Western historical stories. Sit in a replica of an old-time ox driven wagon and watch a first person point of view video of what it was like riding it one. However, the main focus of the center is on four specific historical trail systems. The Oregon Trail - A 2,170 mile east to west trail established in 1830s to connect the Missouri River to multiple Oregon valleys. It is also one of the most historic and well known trails due to its popularity in game form! It is part of the trio of trails known as the Emigrant Trail. The Mormon Pioneer Trail - Less well known but just as important to its religious followers, this 1,300 mile trail was in use from 1846 to 1868 for followers of the Mormon/Church of Jesus Christ (of Latter-day Saints). They used it primarily to travel from their main settlement in Illinois to Brigham Young’s settlement in Utah. It follows much of the same route as both the California and Oregon Trail and is also part of the trio of trails known as the Emigrant Trail. The California Trail - The final “Emigrant” trail, the California Trail is 3,000 miles in length and runs across the western portion of the US from Missouri to California. It was founded in 1847. The Pony Express Trail - Possibly the most well known trail in history is the Pony Express, which was used as a fast mail route and was established in 1860. For those looking to actually get out on the trails after visiting, the center partners with two companies that give once in a lifetime guided trail experiences. Check out Historic Trails West for wagon treks that are perfect for the whole family (the wagons can actually fit up to 60 people!). There are multiple hour treks as well as multiple day treks that include a stay in a painted lodge or trail teepee. The other option is from 307 Adventures for off-road jeep tours that can include backpacking, fishing, or even camping! Admission to the center is always offered free of charge from Tuesdays through Saturday from 9:00am to 4:30pm. There are events offered annually at the interpretive center (or sponsored by the interpretive center), all with a focus on western history (especially local history) and events. For instance, a recent fun annual event offered is the Ghost Town (Gumbo) Cook Off. Although not on site (it is located at the fairgrounds), the proceeds go back into supporting the center. Taste over 15 different gumbos (and vote on the best one! ), enjoy the car and motorcycle show, listen to some live music, and peruse the many vendors. There are also regular showings of the “Romancing the West,” which is a legacy tour of a show featuring stories from people from the Great West told through an original score, and visuals set to anything from ragtime to rock and roll. It is offered free of charge to center visitors. For more information about any of the events offered, contact the center by phone or email.